On March 25, Blackboard announced a partnership with digital content provider CK-12 Foundation, “a non-profit organization that provides full curriculum coverage for K-12 Math & Science.” CK-12 content is FREE and is now available via Blackboard xpLor. xpLor is available to institutions running Blackboard Learn, Moodlerooms, or Blackboard Engage (Edline). To import CK-12 content into your course you will first need to access Blackboard xpLor from the course you wish to add content to. From the xpLor homepage click Discover. 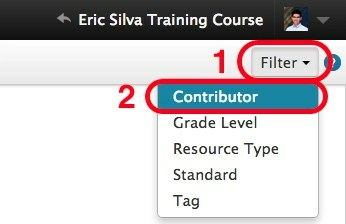 In the top right corner click Filter, then Contributor. In the field enter CK-12 Education. A popup should appear with the CK-12 logo, click the logo, then Apply. 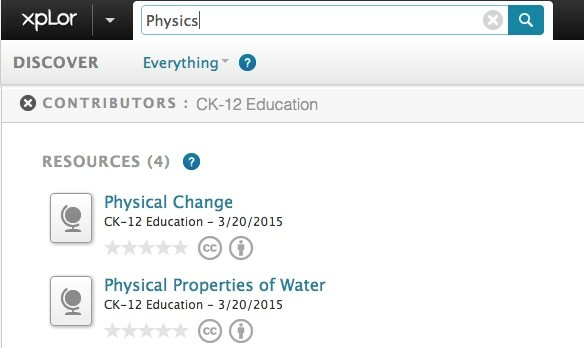 This will display a list of all CK-12 Education content available in xpLor. 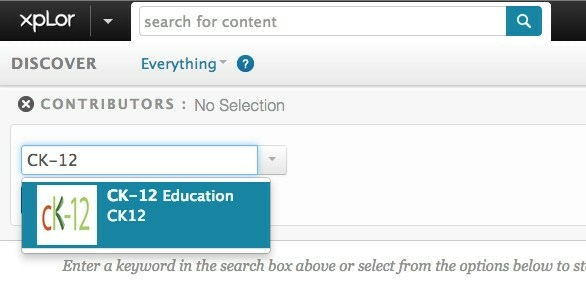 To search for specific content use the search bar at the top of the page. xpLor should automatically display content created by CK-12. If that does not occur repeat steps 2 and 3.